The question of ‘who is a southerner and who is a northerner?’ in Sudan will soon be unavoidable. The Khartoum government is set to begin registering citizens and issuing new national ID cards, a practical example of how the imminent split of Sudan will affect its citizens. Quoted in the Sudan Tribune this week, Minister of the Interior Ibrahim Mahmoud said that the civil registry authority would open centers across the country – the North – on Monday and aim to register 8 million people by the end of the year. The national ID card will be required to receive state-sponsored services, such as to register for school, conduct banking transactions, and acquire additional IDs and permits, such as passports and driving licenses. With citizenship arrangements between the North and South still unsettled, an immediate question emerges about the eligibility of southerners living in the North as registration gets underway. The head of the civil registration authority said “political considerations” would determine the status of southerners. “He added that the nationality law gives the president the right to revoke the citizenship of groups and individuals if their citizenship is acquired or gained at birth,” Sudan Tribune reported. 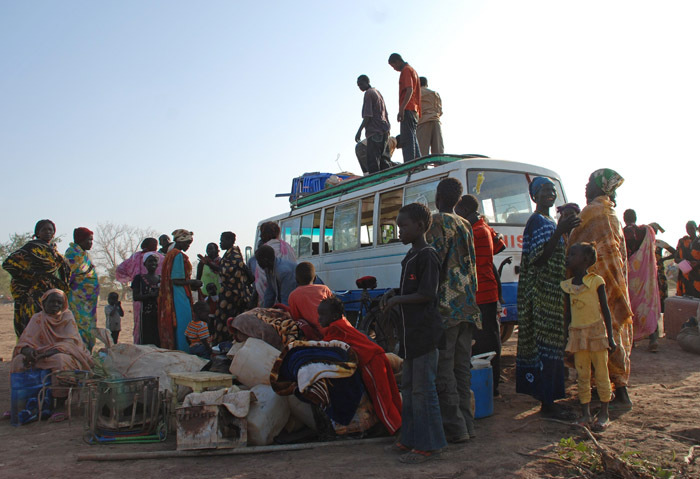 The time frame for enforcing the national ID requirement hasn’t been announced, but in the absence of a decision on citizenship arrangements or any sort of public assurance from Sudan’s leaders that the rights of southerners in the North will be protected, the registration is liable to stir fears of discrimination. Already more than 260,000 southerners have returned to the South, many saying they experienced or anticipated persecution based on ethnicity with the country set to divide. Mamdani also cautioned southern leaders against basing citizenship on ethnic rather than territorial requirements. “Will South Sudan learn from the African experience – of ongoing civil war and ethnic conflict – and rethink political citizenship and the political state in order to create a new political order? The future of South Sudan and its people rides on the answer to this question,” he wrote.